On October 2, the New Jersey Civil Justice Institute and the American Tort Reform Association (ATRA) co-hosted a panel discussion on the New Jersey Consumer Fraud Act (CFA) featuring Emory University Law School professor Joanna Shepherd, and attorneys Gavin Rooney of LowensteinSandler and William J. Pinilis of Pinilis Halpern, who have experience pursuing and defending CFA claims in New Jersey. The discussion, which was moderated by former federal District Judge Dennis Cavanaugh, who is now of counsel at McElroy, Deutsch, Mulvaney & Carpenter, LLP, covered the evolution of the CFA, its current effectiveness, and what reforms, if any, the panelists would like to see in this area of law. Shepherd lead off with an overview of her new white paper, “The Expansion of New Jersey’s Consumer Fraud Act: Causes and Consequences.” She discussed the history of the CFA, and explained how it has evolved over the years to the point where New Jersey’s law is a national outlier. Rooney and Pinilis gave attendees insight into how the law works in day to day practice. Rooney does defense work, while Pinilis brings cases on behalf of plaintiffs, so information on how the law impacts both sides of a dispute was presented. Written materials handed out at the event are posted below. The Expansion of New Jersey’s Consumer Fraud Act: Causes and Consequences, Emory University Law School Professor Joanna Shepherd, October 2014. Are State Consumer Protection Acts Really Little-FTC Acts?, Henry N. Butler & Joshua D. Wright, 63 FLA. L. REV. 163, 187 (2011). Remarks of FTC Commissioner Joshua D. Wright at The Economics of Access to Civil Justice: Consumer Law, Mass Torts and Class Actions, March 16, 2014. 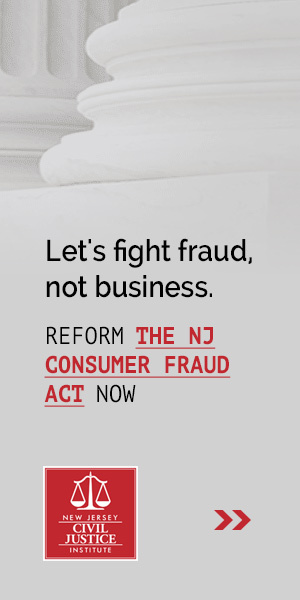 NJ Can Protect Consumers Without Promoting Lawsuits (Opinion): NJSpotlight, September 30, 2014. 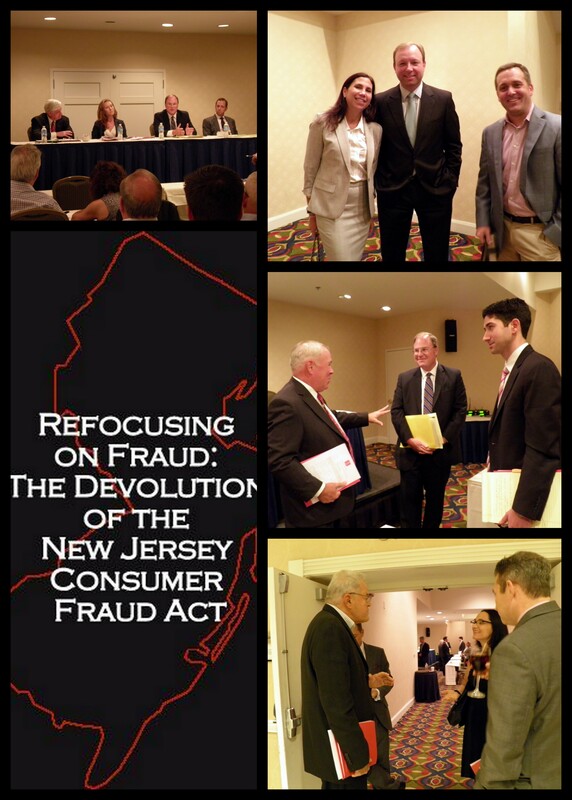 Amending New Jersey’s Consumer Fraud Act: NJCJI, 2014.